Saudi director Haifaa al-Mansour proves the perfect choice for this provocative, fascinating and superbly acted biopic. It’s easy to see what drew Saudi director Haifaa al-Mansour to the story of Mary Shelley. Her 2012 debut feature, Wadjda, filmed under secretive conditions, was the first film to be shot by a female Saudi director and it found a compelling allegory for personal expression and freedom in the story of a young Saudi girl’s desire to have her own bike, like her male friends. Her follow-up feature, a biopic of Mary Shelley, explores a similar theme in its story about a rebellious young woman finding her voice in a repressive, male-dominated society. 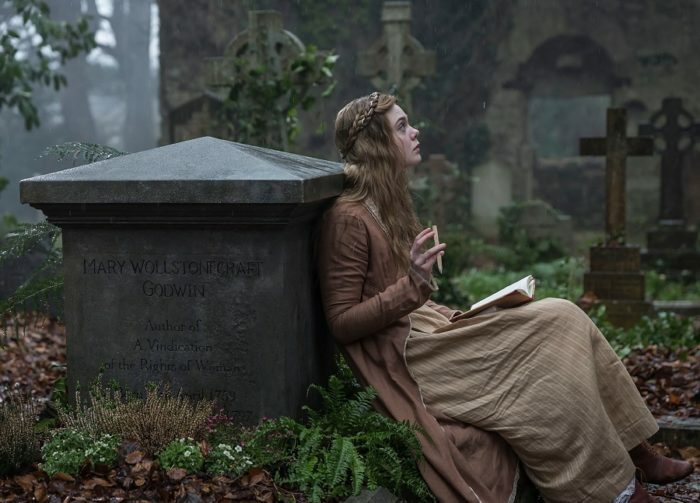 Elle Fanning stars as 16 year-old Mary Wollstonecraft Godwin, the daughter of philosopher-turned-bookseller William Godwin (Stephen Dillane) and her deceased mother, the writer and proto-feminist Mary Wollstonecraft, whose Vindication on the Rights of Woman had caused a literary stir before Mary was born. After one too many arguments with her stepmother (Joanne Froggatt), Mary is sent to live in Scotland, where she falls madly in love with the celebrated young poet Percy Bysshe Shelley (Douglas Booth). When Percy follows her to London, the pair soon elope, taking Mary’s flighty stepsister, Claire Clairmont (Bel Powley), with them. 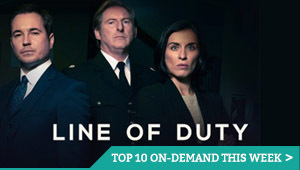 However, the scales soon fall from Mary’s eyes, as she discovers that Shelley has abandoned his ex-wife and child and is beset by crippling debts, and has something of a wandering eye. Eventually, the trio wind up at the Geneva villa of literary bad boy Lord Byron (Tom Sturridge), who challenges his guests to write a ghost story. Scripted by Emma Jensen (with additional writing by al-Mansour), the film cleverly layers Mary’s experiences, showing how her feelings of disappointment with men, her loneliness, her grief at the loss of her own child, and her fascination with the idea of re-animation all feed into the writing of her novel. Later, when Mary is forced to publish the book anonymously, the film gets powerful, emotional mileage out of Mary’s struggle to be heard, in a world where everyone assumes her husband wrote it, because Percy penned the foreword. The cast are exceptional. Delivering a note-perfect British accent, Fanning continues to impress, and her blend of fragility and fierce inner strength is put to compelling use here. Douglas Booth turns in his best performance to date as Shelley, his smouldering good looks masking his own insecurities and weakness. Powley is predictably terrific as Mary’s impulsive stepsister and Sturridge has a lot of fun as mad, bad Byron, although Maisie Williams has disappointingly little screen time as Mary’s Scottish friend. Perhaps appropriately for a film about the creation of the archetypal fictional scientist, al-Mansour plays intriguing games with the chemistry of her lively young cast. You can feel the connection between Mary and Shelley, but there’s also a palpable frisson between Shelley and Claire, something that Mary picks up on, but ultimately decides not to challenge. There’s also a dangerous, crackling energy in the Geneva mansion scenes, with Byron revealing himself to be something of a monster, at least in terms of his cruelty towards Claire. The film looks utterly gorgeous throughout, courtesy of cinematographer David Ungaro and his breathtakingly beautiful lighting. 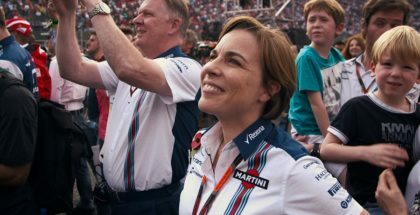 On top of that, the film benefits from some impressive location work and a superb, atmospheric score from Amelia Warner. By turns romantic, provocative and deeply moving, Mary Shelley is brought to life in thrilling fashion by al-Mansour’s compassionate direction and Fanning’s luminous performance. Mary Shelley is available on Netflix UK, as part of £7.99 monthly subscription. Where can I watch Mary Shelley on pay-per-view VOD?